Originally known as Villa Bischoffsheim, this residence was designed by Charles Garnier in 1873 for Parisian banker Raphael Bischoffsheim. Construction was carried out by the firm of Mombelli and Bulgheroni. 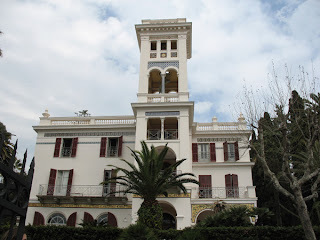 By 1900, the Villa belonged to a British Lord and was known by its new name. Charles Garnier, Louis Pasteur and Claude Monet all lived in Bordighera around this time. 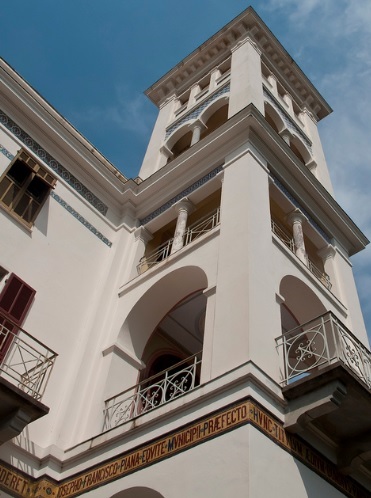 A golden mosaic frieze with writing runs along the facade above the ground floor windows. The inscription is in Latin and it commemorates the recovery of the Queen Margherita of Italy - who Bischoffsheim lent the villa starting in 1879 or 1880 - from illness sometime around 1882. 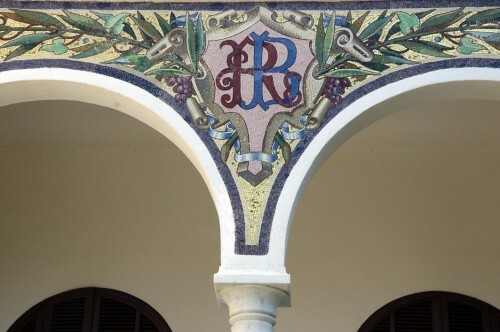 The archways are decorated with a leaf motif and include Raphael Bischoffsheim's initials. The tower contains more mosaics in various geometric designs. The villa has served as a home for families of fallen soldiers, and it is now - along with Villa Margherita located on the property above it - part of the Queen Margherita Museum, which exhibits the vast art collection of the Terruzzi family. 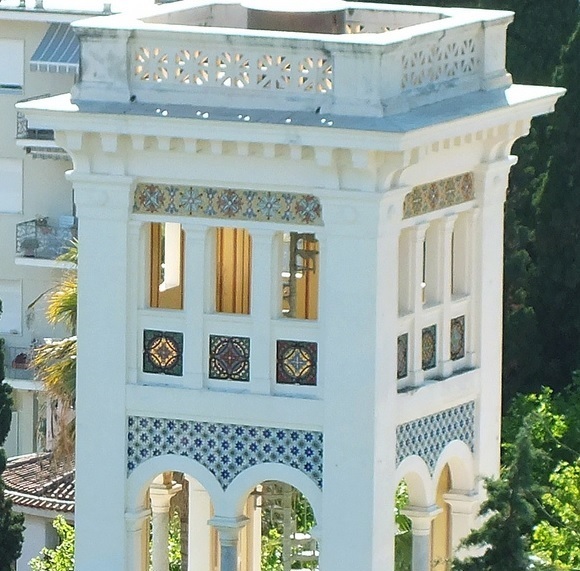 Much of the villa, including the mosaics, was recently restored. Barr, Sheldon. Venetian Glass Mosaics: 1860-1917. London: Antique Collectors' Club, 2008. 134. Cook's Handbook to the Health Resorts of the South of France and Northern Coast of the Mediterranean. London: Thomas Cook and Son, Ltd., 1881-82. 65. The Westminster Review. Vol 154. New York: Leonard Scott Publication Co., 1900. 49. Hamilton, Frederick Fitzroy. Bordighera and the Western Riviera. London: Edward Stanford, 1883. Advertisements 3.